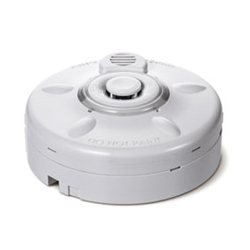 Carbon Monoxide is a colorless, odorless, tasteless and highly toxic gas. It will reduce the oxygen in body’s hemoglobin and cause damage to the brain. Our QA23 is equipped with a precise and low power-consumption sensor. With high efficiency microprocessor-based analysis, it can be triggered under different carbon monoxide concentrations. High luminous dual LEDs to indicate different status. Green LED to confirm the unit is under normal operation. Each visible and audible warning has 4 modes to easily identify current status. Test button for alarm simulation. Dual power input: 12VDC and 24VDC operation in the same unit. No adjustment is required. Optional 110VAC or 220VAC adaptor is available.